Journalists from the Czech Republic can apply to take part in "Colorful but Colorblind," a project for journalists aimed at promoting the creative use of multimedia in reporting minority issues, to take place June 7 to 11. Deadline to apply: May 12. The project will focus on remedying anti-Roma stereotyping in the media. Ten journalists from the Czech Republic (half Roma, half from the country's majority), will attend an intensive week-long training workshop in Prague. The International Center for Journalists (ICFJ) is offering a six-week online course that seeks to bring together American and European journalists along with journalists from majority-Muslim countries to critically examine religion coverage around the world. Deadline to apply: May 21. The International Center for Journalists is now accepting applications from U.S.-based journalists for a program under the theme "Beyond the border: Exploring, Covering and Understanding the Immigration Phenomenon." Deadline: May 15. Transitions Online will be holding another “New Media for NGOs” training course in Prague from July 11-16, 2010. Following the same format as the January course, it will train non-profit organisations how to use new media to spread their message wider and faster, manage IT projects, improve internal efficiency and revamp their online strategy – even with a minimal technology budget. Female journalists from Saudi Arabia are invited to participate in a new training course in new media tools that will be held March 20 to 23 in Jeddah, Saudi Arabia. 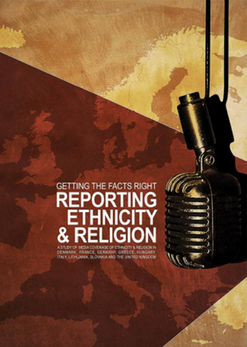 As part of the "Say No to Discrimination" campaign, the Council of Europe, in conjunction with the European Union's Fundamental Rights Agency, is holding a workshop for representatives of journalism schools and other media training institutions.